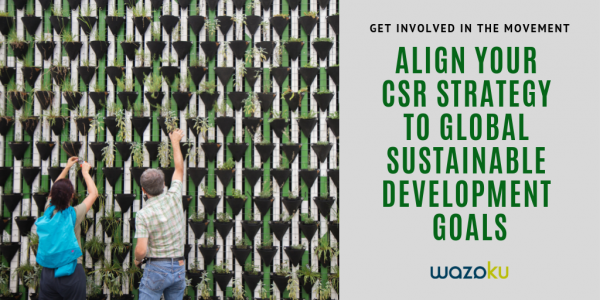 Each year Wazoku chooses a charity partner to work with that affects the people in our business in some way or shape, as part of our corporate sustainable responsibility (CSR) strategy. In the past we have worked with MS Society, and Prince’s Trust and most recently, Together for Mental Wellbeing. Last year, we ran a challenge on Balbu, what we’ve branded our own internal version of our idea management platform, to ask employees which charities or causes are closest to them or have been affected by. Together was the unanimous winner. Did you know mental health problems are one of the main causes of disease burden worldwide? It’s so critical, the UN made it part of their 2030 Agenda for Sustainable Development to ensure healthy living and promote improved well-being at all ages. Together for Mental Wellbeing is the oldest mental health organisation in the UK and helps thousands of people through their journey towards independent and fulfilling lives. 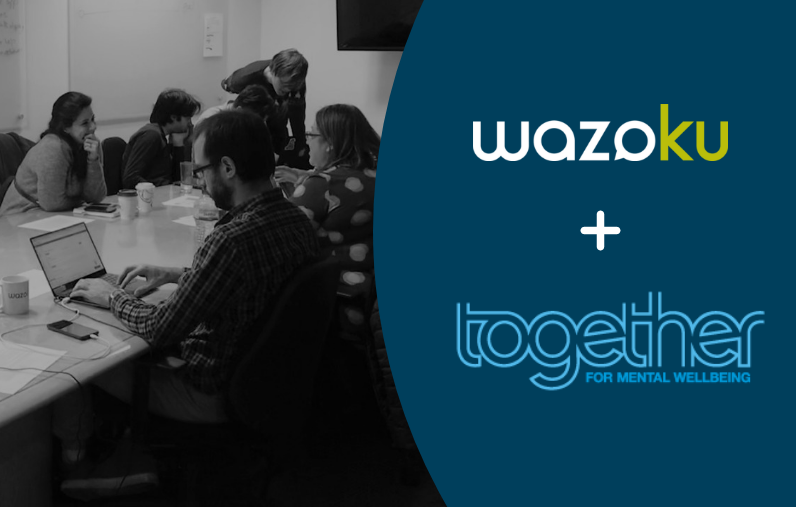 To help cultivate sustainable innovation, in December, Wazoku welcomed Together staff into it’s London office for their annual Kuathon (Hackathon) whereby the company comes together for two days, forming groups to creatively solve problems. The Wazoku team, divided into five teams to generate new ideas and collaborate on business improvement projects to combat some of the current business challenges that Together is facing. The Kuathon is also part of Wazoku’s corporate sustainable responsibility (CSR) mandate, to give back to the community and focus on important social issues. It helps the team become stronger and closer as a business to support social issues that affect staff. It is also an opportunity to give everybody in the organisation the time and space to work in cross-functioning teams, outside of their current day job to innovate, be creative and think about new ideas and challenges they haven’t faced before. Over the two-day event there was strong collaboration between the two companies. Together representatives relevant to each business challenge were assigned to teams to provide feedback and detailed insight into their current processes and technology. The Wazoku marketing, sales, development, operations and customer success teams all worked collectively to improve business processes, research different systems and build new innovations. At the end of the two days, each joint team presented findings, recommendations and outputs to a panel of Together staff. By contributing to build a better Together, we help a long-standing organisation improve processes and drive brand new, sustainable innovation, in a sector that may not always have the funding or resource to do so. Since 1879 Together has worked across England to ensure healthy lives and promoting wellbeing for all. Together work with nearly 5000 adults every month on 80 projects throughout England. Together provides support in the community, accommodation-based support, advocacy, and mental health support in criminal justice settings. Together is helping to shape future mental health legislation in the United Kingdom. Together is a great example of a successful and long-standing establishment that has recognised the value and opportunity of embedding sustainable innovation in its organisation to stay relevant. Decreasing barriers of knowledge, engagement and creative freedom can go a long way towards realising the potential of a employees. A structured platform is ideal for sharing and collaborating and ideas, in order to bring the best ideas straight to the decision makers in a tracked, measured and outcome driven way. By arming your employees with tools to help them focus their problem-solving skills and giving them the ability to share and exchange this knowledge – innovation and product delivery are accelerated and worker productivity is enhanced. Working with Together has helped to open the minds of our organisation with the reality and severity of poor mental health within the UK and beyond. It has also highlighted the challenges that some more established organisations face, especially ones that struggle to move into digital formats because of legacy systems, or make drastic digital changes. By helping to improve business processes and use resources more effectively the business can run more efficiently resulting in more people being supported through Together.